At the end of April, we found out we’d reclaimed our title of ‘Top New University’! It’s what Klitschko would have felt like, if he’d beaten Anthony Joshua. And we can confirm, it feels goooood. It feels especially good, because we not only took back what is ours, but managed to climb seven places to 43rd UK University in the process. That’s higher than many other unis, far older than us! Why should you give a hoot? 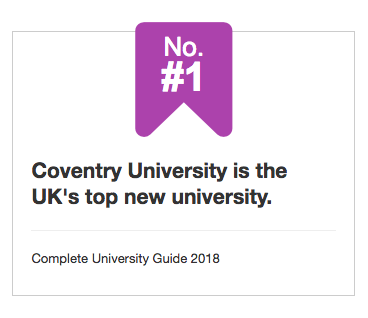 Well it shows that Cov Uni are constantly striving to keep pushing the boundaries of higher education, and offer you the best darned student experience out there. Rather than rest on our laurels, we’re dedicated to improving what we have to offer, and proving we’re the best at what we do. You thought we were done there?! We really care about our students’ experience when they’re here with us, and we’re determined to send you out into the world with the skills you need to secure a job. 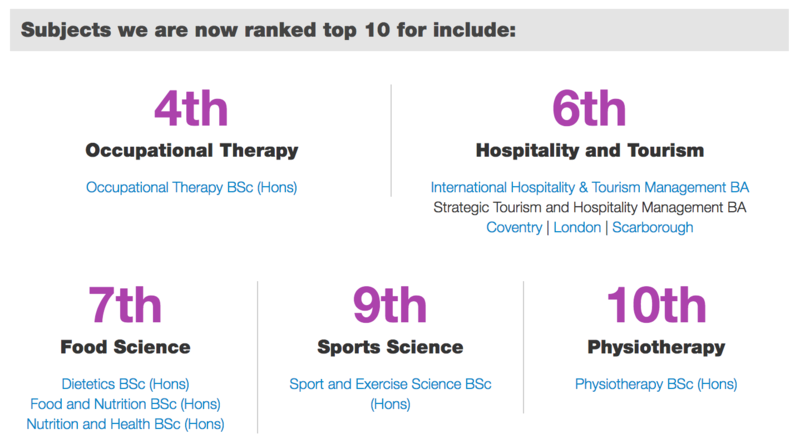 So it’s nice to know our hard work is paying off, and we hope our students know their uni is one they can be proud of. Time to go see if we can fit our heads through the door… Have a lovely weekend everyone! 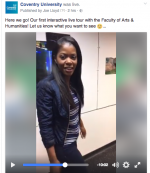 How're you feeling?, Inspired, International, Join Us, Mature Students, Postgrad, Undergrad, Why Cov Uni?